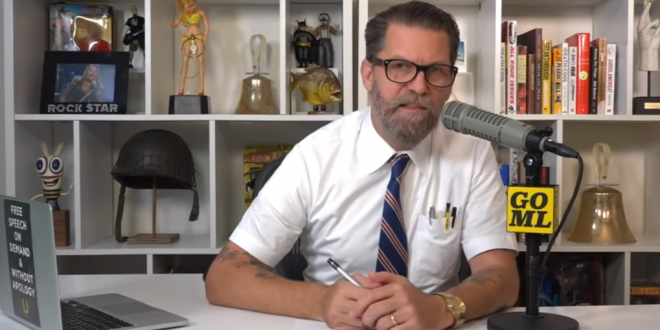 Far-Right Canadian Outlet Hires Gavin McInnes [VIDEO] - Joe.My.God. Gavin McInnes, the founder of “Western Chauvinist” group Proud Boys, is joining far-right Canadian website and network The Rebel Media, the outlet told Mediaite Tuesday. The hire follows a trend for The Rebel, which operates as a sort of salon de refusés for ostracized right-wing gadflies: Katie Hopkins joined after leaving the Daily Mail, white nationalist and neo-Nazi sympathizer Faith Goldy hosted a show on the network, as did English Defence League founder Tommy Robinson. His first “alter-ego” promo clip is below. Yesterday McInnes sued the SPLC for defamation of its classification of the Proud Boys as a hate group, alleging that they made him unemployable. So much for that.